Toro Rosso will confirm Alex Albon as their second driver for the 2019 season ahead of the Abu Dhabi Grand Prix, Motorsport's Italian edition has reported. Toro Rosso's long search for a 2019 line-up will ultimately see them take on two drivers previously dropped by Red Bull in Albon and Daniil Kvyat. Brendon Hartley will pay the price for an underwhelming first full season in F1, in which he has been largely outperformed by the Red Bull-bound Pierre Gasly. The New Zealander has scored in Azerbaijan, Germany and the USA this season, but only Sergey Sirotkin has fewer points to his name. 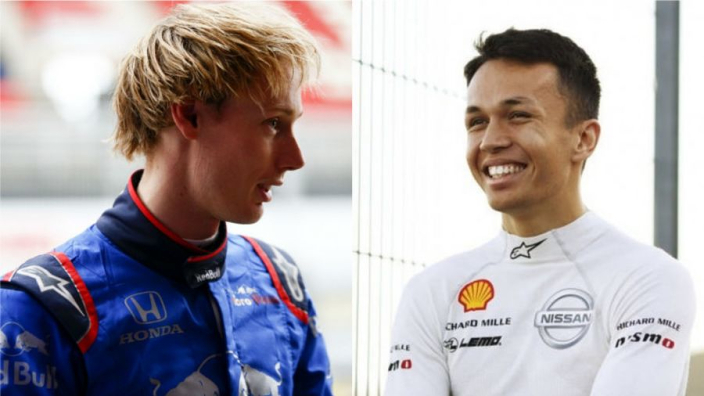 With Kvyat filling Gasly's seat in his third Toro Rosso stint, the likes of Pascal Wehrlein, Esteban Ocon, Mick Schumacher and many more were linked to the second seat in the team as confidence in Hartley failed to materialise. Albon's move has been laced in controversy – the British-Thai driver has reneged on a deal with Nissan in Formula E in order to join Toro Rosso, infuriating the Japanese manufacturer and likely precipitating a hefty fee from Red Bull. The 22-year-old is second in the F2 standings with a round to race, sat between 2019 F1 drivers George Russell and Lando Norris. With a wave of young drivers now reaching F1, he has been tipped to succeed by one of the leaders of the new generation, future Ferrari star Charles Leclerc. Asked if any F2 drivers had caught his eye, Leclerc said: "I'm not sure yet if he's not going to make it, but for me Alex Albon.